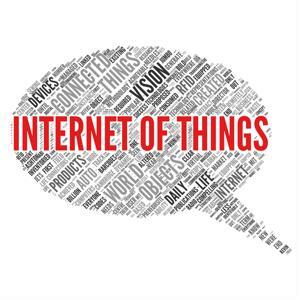 Home IT How will the IoT impact strategic sourcing? Unless you've been living under a rock for a while, chances are you have heard all about the growing trend known as the Internet of Things, which is essentially characterized by all "things" becoming connected to the Web. This impacts larger frameworks and systems such as power grids and even cities, as well as smaller items including baby monitors and dishwashers. In the not-so-distant future, the world will look very much like, well, the very distant future, with data being generated around every corner and in every crevice of the world. Businesses in virtually every industry are going to need to face this trend head-on or run the risk of going the way of the dinosaur, as consumers demand relevance and modernity from the companies they choose to frequent. For obvious reasons, strategic sourcing and procurement will be major points of interest for all businesses that begin to embrace the IoT, especially in the earlier stages of deployment when feet still need to get wet. Before diving into those considerations, though, it will be helpful to understand just how quickly the IoT is coming to pass on the global scale. Gartner recently released a study that estimated roughly 1.1 billion things will be connected to the Internet by the end of this year amid the push for smart cities. As a brief note here, smart cities are catching on significantly, with buildings, facilities, transportation systems, utilities and more getting a boost in functionality from the use of Internet connectivity. According to the researchers, the biggest drivers of the IoT in smart cities this year will be commercial buildings, homes, transportation and utilities, each of which have already started to gain traction in the realm of Web connectivity. Although many business leaders have looked at this trend as a threat and challenge – which it certainly could be – progressive mayors and other city officials are looking at it as an opportunity. In many ways, business leaders would do well to face the IoT in an opportunistic fashion, as there are so many applications and potential advantages of having a well-crafted strategy to capitalize on the trend. "Electric mobility, charging stations and embedded IoT will generate additional IoT opportunities in smart cities," Gartner Research Vice President Bettina Tratz-Ryan affirmed. "This could be, for example, IoT in vehicles, or vehicle batteries sensing and communicating with the driver, or the next charging station to negotiate charging terms. New and transformative business environments and ecosystems will emerge. For instance, automobile companies are investing in streetlights with charging stations embedded in the post to reduce the infrastructure investment for automobile charging stations. Sensors allow these companies to identify vacant charge-parking spaces for their customers, communicated via mobile applications and on-board systems. They will also be the facilitators of the payment and transaction for ease of use." Now, with all this in mind, let's talk procurement and sourcing. Business leaders will not only have to worry about sourcing and procuring the right devices that fall into the category of the IoT, but also the staff to manage these tools, the solutions to support them and so much more. The IoT is similar to enterprise mobility, which caused a wealth of headaches in the provisioning realm, only the IoT is far more robust, diverse and enormous. As such, companies should consider leveraging professional strategic sourcing services to get the job done and make the most out of this highly novel and advantageous trend. With the right procurement and sourcing support, investments can fly high and yield strong returns every step of the way.